In thinking about this session and pondering where the impact of the music came from, I was reminded of a song that I sang with my church choir a few years ago. We sang an arrangement of the song “How Can I Keep From Singing,” which you can hear here. This arrangement by Gwyneth Walker is mostly upbeat, but it got me teary-eyed every time we sang it in rehearsal. I don’t consider this a detriment, though. Something about the combination of the beautiful melody and lyrics, the gorgeous harmonies and the experience of singing this spiritual song with my friends in the choir struck me in a profound way that manifested itself in tears. I think this speaks to the depth of emotional experience that a piece of music can evoke in any person who may be listening or playing. These experiences are difficult to describe adequately in words (although people have tried to do so for hundreds of years), but I think most people have had a moving musical experience like this – one that seemingly comes out of nowhere and maybe brings tears to their eyes. I think in this kind of experience, a few things are happening: the music is eliciting an emotional response, but it is also providing a container for that response. The music gives a person permission to feel very deeply, but it also gives them an opportunity to leave those strong and potentially overwhelming feelings behind when the music is over. This was true for me when I sang that song with the choir, and I think it was true for my client hearing a familiar hymn. Of course, a music therapist is not necessary to bring about these profound responses to music – people have been having these kinds of experiences since long before music therapy was an organized profession. What music therapists do offer, though, is the ability to facilitate music-making that can lead to these kinds of emotional experiences and the sensitivity to help a person work through their emotional responses, either verbally, through the music, or both. For people who need some help accessing and working through these emotional responses, for whatever reason, a music therapist can help. This is as true for a child with a severe intellectual disability as it is for an adult in a wellness setting. I love this part of my job – I love being with people when they have these touching, profound musical experiences. This is what keeps me coming back to music therapy, and to music in general. As this song says, with musical moments like these, how can I keep from singing? When was one of your powerful musical moments? 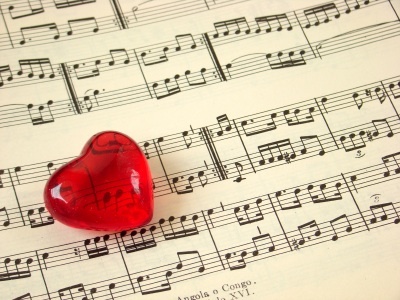 What songs or pieces of music have struck a deep emotional chord for you? I recently had an experience with my grandmother. I wrote a little about it on my blog. I’m not sure of etiquette for putting my link into this comment on someone else’s blog (still new to the blogoshere) but please accept my sharing of the link as just that.